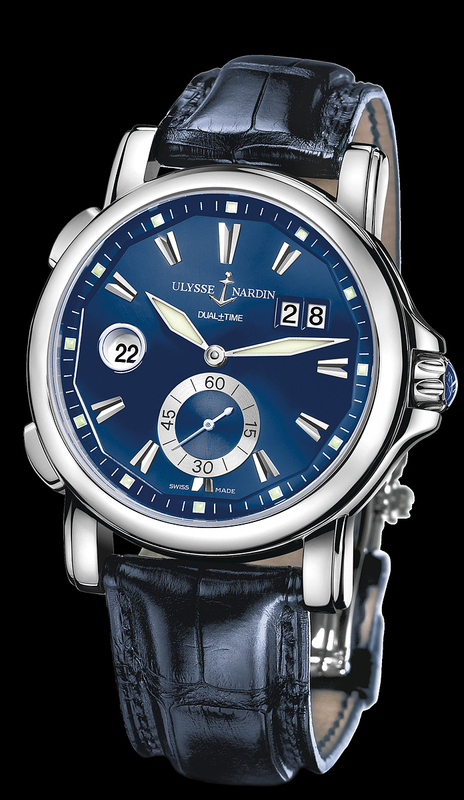 Ulysse Nardin Dual Time GMT, NEW blue color dial. Sporty and elegant, and excellent for traveling the world. This timepiece displays two different time zones. 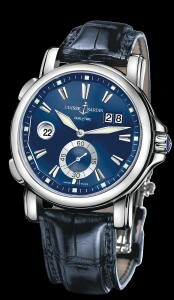 It is a new blue color dial, 42mm, stainless steel case, with automatic movement, and big date. The case back is a glass exhibition back with visible stainless steel rotor is engraved with the Ulysse Nardin name, and anchor logo. Shown on the elegant blue color crocodile leather strap, and folding buckle.